Beer isn’t necessarily the first beverage associated with fashion shows. But Stella Artois will challenge the usual bubbly for some fashionista attention during the upcoming New York Fashion Week (September 6-14). The brand is extending its “Joie De Biere” global campaign, from the Mother agency, with a video (below) and out-of-home ads designed for the runway crowd. Like the campaign’s anthem “Pockets” TV ad/video, these made-to-order ads use whimsical humor and a European sensibility to suggest that we all stash our phones occasionally in order to enjoy the live moment. 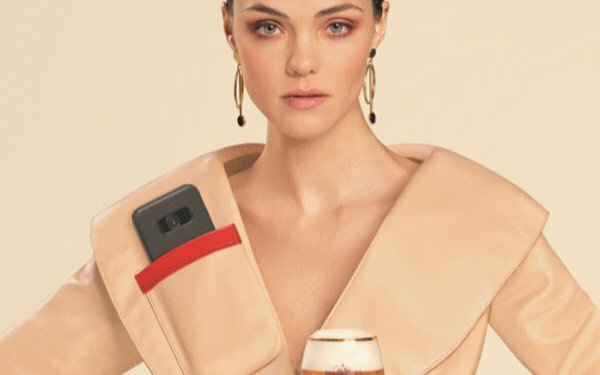 “While we know that real-time content capture and social sharing is something native to events like New York Fashion Week, with Haute Pockets, we’re hoping to playfully inspire attendees to take a moment, put down their phones, and really savor the unique experiences that the week has to offer,” says Harry Lewis, vice president, Stella Artois. The video will run on Stella Artois’s social channels, Hearst online, and digital platforms. The OOH ads include bus wraps, a wallscape at Grand Street & Washington Street, and an ad projected onto the sides of buildings in lower Manhattan during the weekend of September 7-9. An ad will also run on the city’s NYC Link WiFi communications network.